Chances are, if you’ve heard of Novi Sad, Serbia, it’s because of Exit music festival or a Danube River cruise. 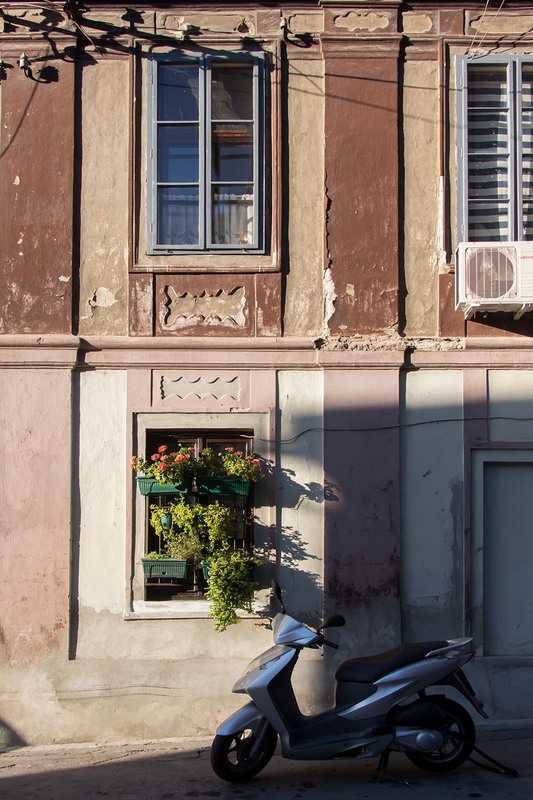 Beyond beats and boats, though, this small Balkan city is definitely worthy of a visit in its own right. Serbia, in general, often gets overlooked in favor of its trendy Balkan neighbor, Croatia, or Hungary and Austria to the north. But for travelers seeking memorable moments, friendly people and authentic European experiences (with smaller crowds), Serbia deserves a spot on your bucket list. 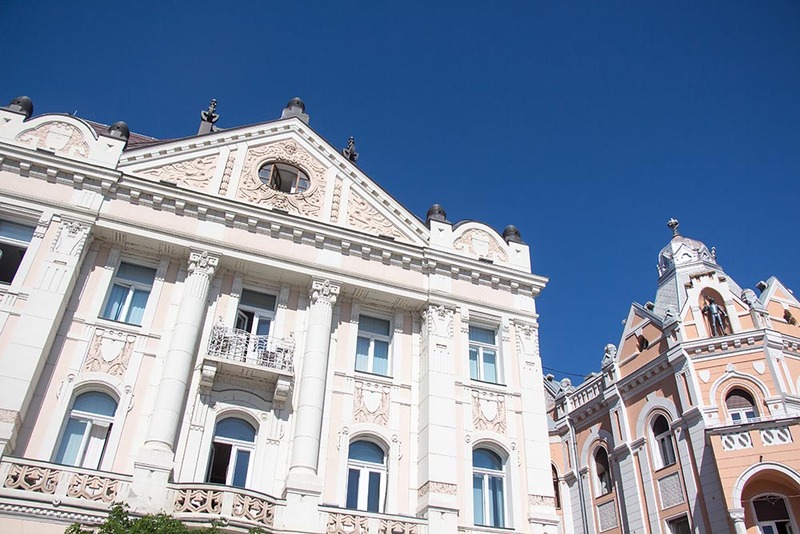 Like the rest of Serbia, Novi Sad lies at a crossroads of history and culture. In centuries past, the region has been occupied and fought over by the Ottoman and Austro-Hungarian empires, leading to a mix of religions, cuisines, language nuances and cultures. Today the feel is classic European meets bohemian meets laid-back fun. 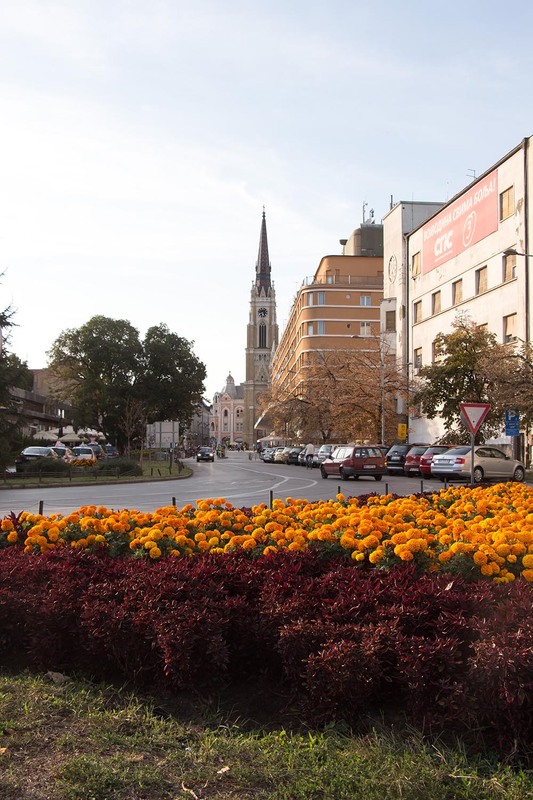 Looking for things to do in Novi Sad? Here are five experiences you can’t miss. Who doesn’t love colorful buildings, stunning facades, hidden courtyards, tiny alleyways, and all things charming about European cities? 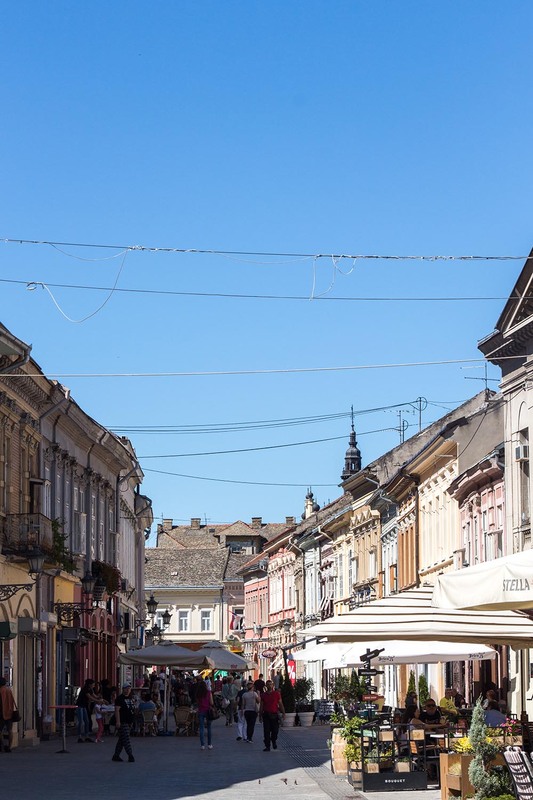 Novi Sad brings all the magic without the massive crowds. Don’t get me wrong, there are still touristy parts, and a few swells of river cruise traffic, but nothing compared to neighboring countries. EXIT music festival goers are no stranger to Petrovaradin Fortress since it’s the location of the event. 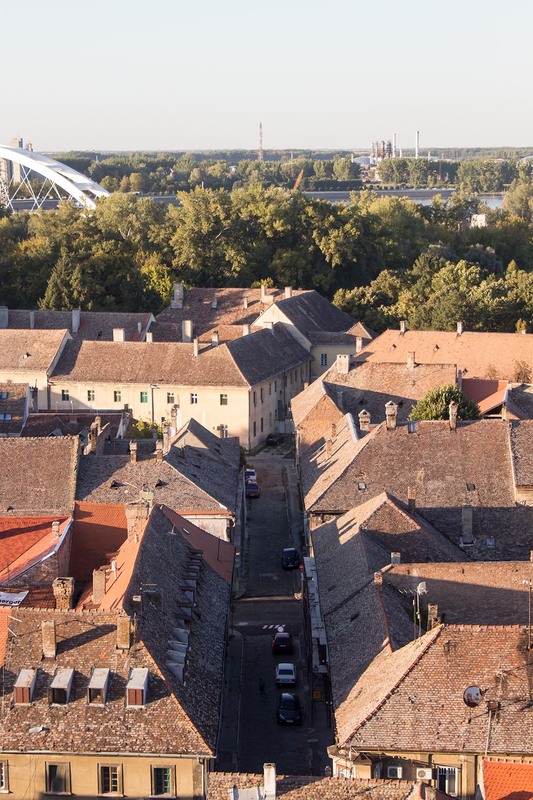 Even if you’re not a music or history buff, the fort should definitely be on your list of things to do in Novi Sad, if simply for the views alone. 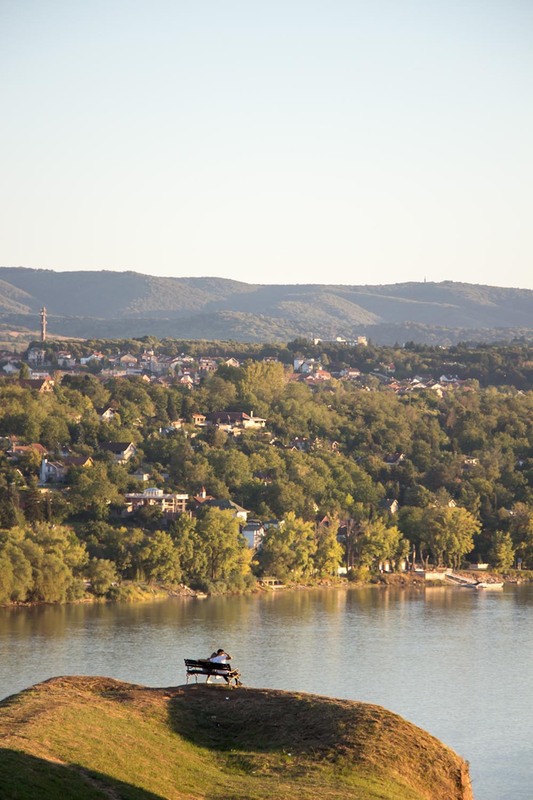 Head to the top of the fortress for stunning vistas of the surrounding city and the Danube River. Then round out your visit with a stroll through the art galleries, restaurants and underground catacombs. Make sure you stay for the sunset! 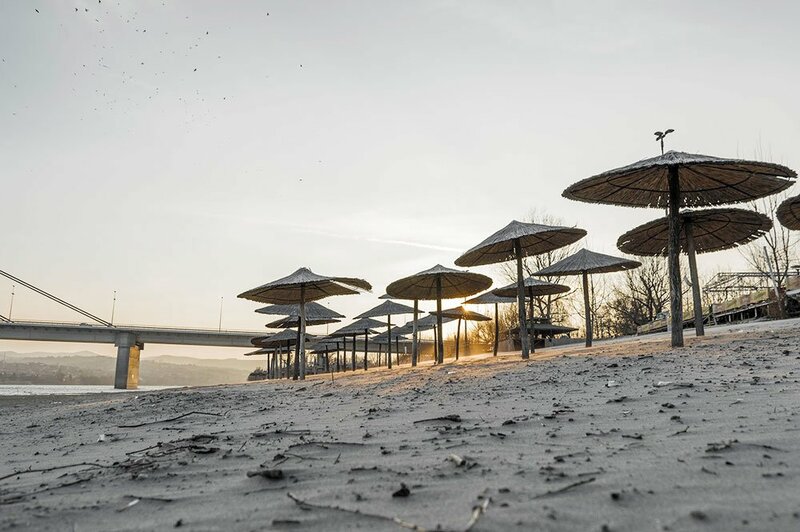 If you visit in summer, head to Štrand beach for a dip in the Danube and sunbathing in the sand. Chill with locals during the day, or get active with biking and watersports. Then stay for the live music and raves that pump all night. Wineries and vineyards might not be the first thing on your mind when you think of Serbia, but it would be a mistake to miss its wine country. 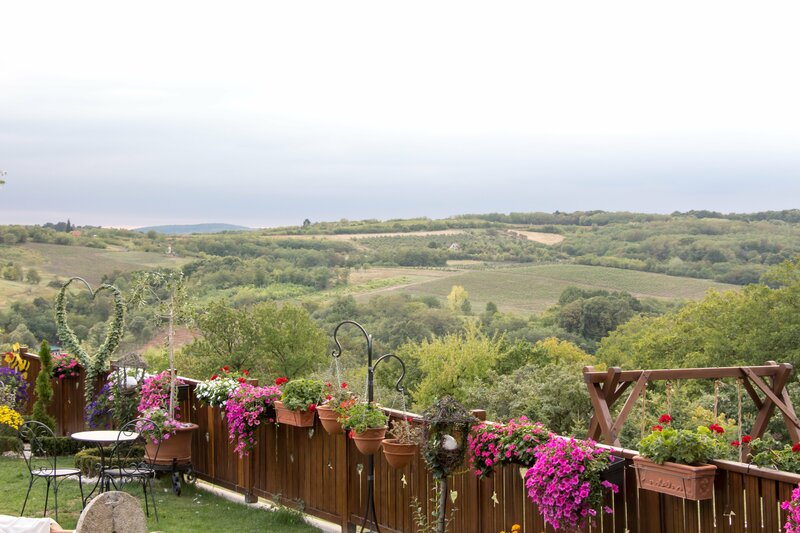 Just outside of Novi Sad, you’ll find picturesque beauty, skiing, countryside escapes, historic towns and of course, lovely wine in the area surrounding the Fruška Gora mountain. Have a nice dinner and taste the local wine at Vinska Kuca Kovacevic restaurant and winery. Get the wine + food pairing menu and have a taste of it all. Then leave with a bottle of the region’s specialty wine, Bermet, a sweet dessert wine macerated with 20 different herbs and spices. While you’re exploring, don’t miss the quaint town of Sremski Karlovci. 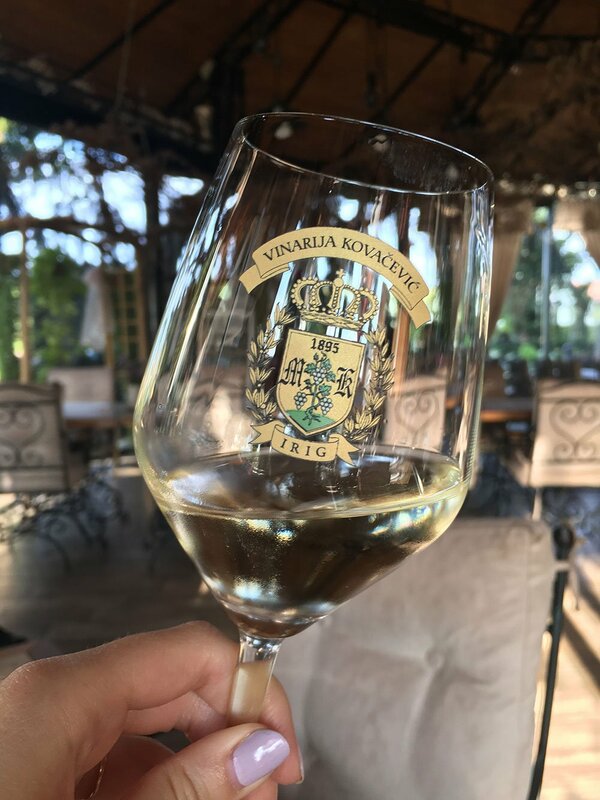 In addition to wine, it’s known for its historical significance as the place where the peace treaty was signed ending the war between Austria and Turkey in 1699. The town became an enclave for intellectuals and artists, and that vibe can still can be felt today. 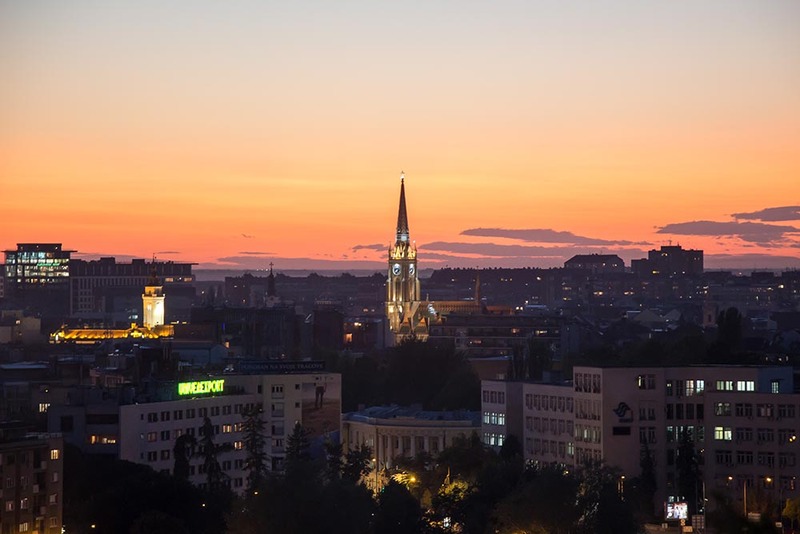 Serbia’s capital, Belgrade, has quite the reputation of being a party city, and while Novi Sad is smaller, it also goes big in the nightlife department. In classic Serbian fashion, you can check out the floating nightclubs, or splavovi, along the south shore of Ribarsko Ostrvo. 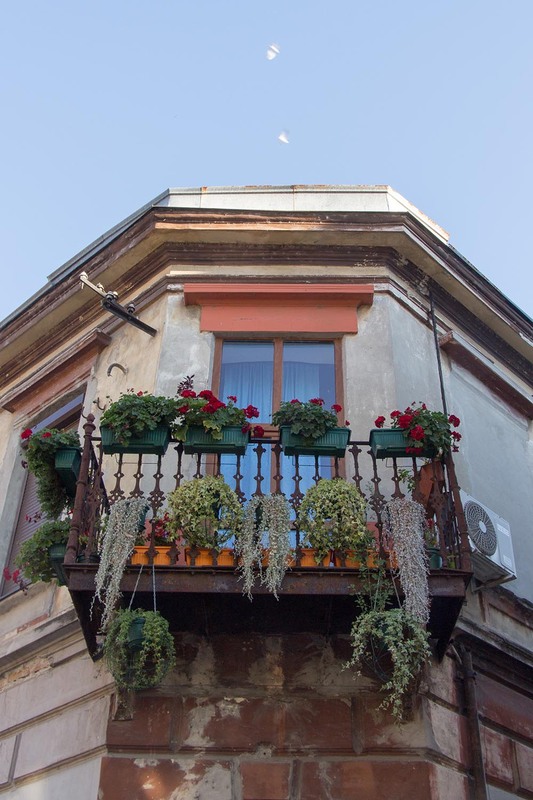 Or head to the pedestrian-only Laze Telečkog street in the Old Town for its cluster of popular bars. Warning: smoking is legal anywhere in Serbia, so unless you like smelling like an ashtray, look for outdoor spots. 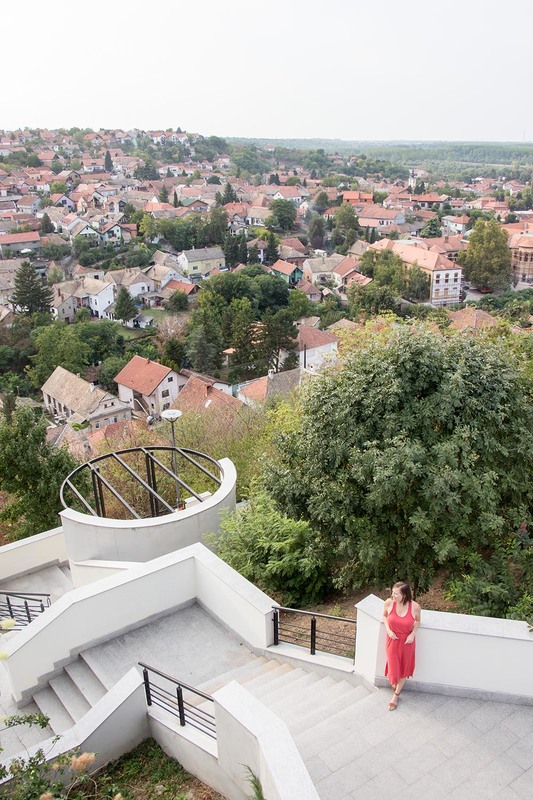 There are so many charming things to do in Novi Sad. It’s one of those places that seems so liveable, with a laid-back vibe, lively cafe culture, plenty of outdoorsy activities and friendly people. Give this city a well-deserved spot on your must-visit list.